Should I Be Eating Eggs? You are here: Home / health tips / Should I Be Eating Eggs? “Are eggs bad for you? I’ve seen newspaper articles stating it’s okay now to eat cholesterol.” Several people have asked me the question. The reason there is uncertainty on eggs is because of a recent report by the Dietary Guidelines Advisory Committee stating that the restriction on dietary cholesterol, which has been in place for many years, should be lifted. There are three groups of people who should be extra careful concerning eating dietary cholesterol as found in egg yolk: those who have a certain gene that predisposes them to cardiovascular disease, those who have high blood cholesterol, and those who have diabetes. First, it is essential that you don’t get the term “dietary cholesterol” confused with “blood cholesterol”. Dietary cholesterol is a substance found in foods such as egg yolk, where as blood cholesterol is primarily the LDL cholesterol particles and the HDL cholesterol particles you find floating around in the blood stream. The American Heart Association states that people who are at risk of cardiovascular disease who have elevated blood cholesterol, high blood pressure, obese, as well as diabetics should limit their dietary cholesterol intake. 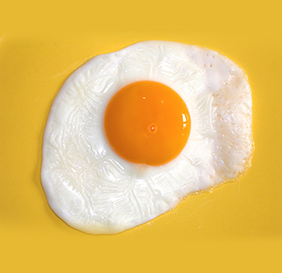 A Harvard report concerning dietary cholesterol in egg yolks stated that people who have difficulty controlling their total and LDL cholesterol may want to be cautious about eating egg yolks and instead choose foods made with egg whites and that the same is true for people with diabetes. Other medical reports state that the consumption of egg yolks increase the onset of diabetes and cause an increase in cardiovascular disease in diabetics and finally, going to the suggestions as stated in “Tips to Implement the American Heart Association Diet, we see 1) substitute two egg whites for egg white and yolk, 2) When deciding whether to include eggs in your diet, consider the recommended daily limits on cholesterol in you food, 3) if you are healthy, consume no more than 300 mg of cholesterol a day., 4) if you have diabetes, high cholesterol or heart disease, limit the daily cholesterol intake to no more than 200 mg a day. The bottom line conclusion is that egg yolks are not considered a health food and are not something that should be eaten arbitrarily by anyone without considering their cardiovascular risk or who are diabetic. Prescription For Life is all about prevention. We want to prevent cardiovascular disease. We want to prevent diabetes. We encourage you to do all you can to prevent diabetes, high cholesterol or heart disease. For you to quit eating egg yolks after you develop diabetes or high blood cholesterol or heart disease would be similar to one of my lung cancer patients to decide to quit smoking after his diagnosis. It would be good to do – but a little late.